THE FIGURE features outstanding examples of contemporary figurative art by leading and established artists -- Jenny Saville, Eric Fischl, Will Cotton, Jerome Witkin, Hilary Harkness, Mark Greenwold, Eric White, Margaret Bowland and others -- alongside emerging talents. Topical essays by distinguished critics, painters and sculptors -- Donald Kuspit, Irving Sandler, Vincent Desiderio, Alexi Worth, David Ebony, Julie Heffernan, Judy Fox, Kurt Kauper, Jamie Adams, Laurie Hogin, Robert Taplin, and others -- along with "artist methodologies" by Trenton Doyle Hancock, Richard Phillips, Rona Pondick, Steven Assael, F. Scott Hess, Alex Kanevsky, Alyssa Monks, Steve Mumford, Scott Noel, Natalie Frank, Anne Harris, Andrew Raftery, Nicola Verlato, Steve Mumford, Edgar Jerins and others, provide diverse historical contexts for the volume's nearly 170 artworks. The evolution of techniques -- from classical cast drawing, perspective, and the camera obscura to the use of photography, Photoshop, and 3D-modeling -- and changing cultural conditions from antiquity to cyberspace are examined, and the use of old and new techniques in contemporary figurative art described. 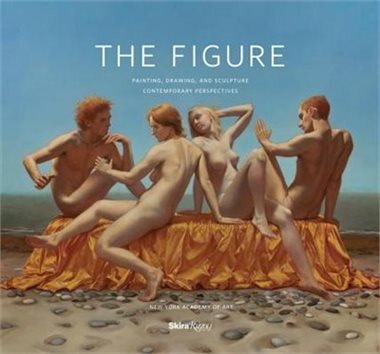 Underscoring the art of the figure's enduring appeal and the pedagogy of the New York Academy of Art, THE FIGURE is essential to anyone interested in both tradition and progress in figure-based art, from students to professionals and collectors. Margaret McCann is a painter, teacher, writer, and curator. Donald Kuspit is an art critic, poet, and professor of art history and philosophy at the SUNY-Stony Brook and professor of art history at the School of Visual Arts. Irving Sandler is professor of art history at SUNY-Purchase. Writer Bob Colacello is former editor of Andy Warhol’s Interview and a regular contributor to Vanity Fair. David Kratz is a painter and has served as the president of New York Academy of Art since 2009.